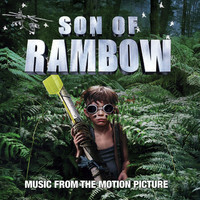 Son of Rambow is written and directed by Garth Jennings, one of the most gifted pop promo directors around. With his production partner Nick Goldsmith, through their company Hammer and Tongs, they have created memorable videos for such artists as Robbie Williams, Supergrass, Pulp and Blur. In 2005 they made a film version of Douglas Adams’ classic sci-fi comedy The Hitchhiker’s Guide to the Galaxy and followed that in 2007 with this charming, funny and eccentric British coming of age comedy. The film is set in the early1980s and tells the story of Will, a young boy from a strict religious family and his friendship with Lee Carter - the worst behaved kid in school. Together they set out to make a film to enter in the Screen Test Young Filmmakers competition. Inspired by Sylvester Stallone’s ‘Rambo - First Blood’ they embark on an ambitious action movie - the making of which which leads them into various hilarious adventures. 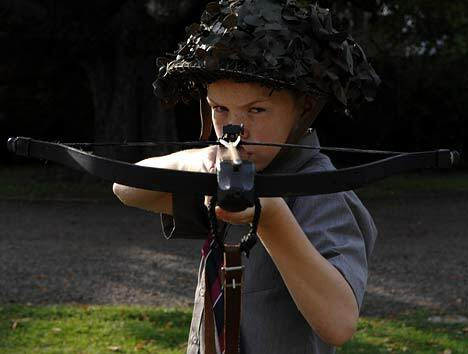 Son of Rambow is quirky, beautifully observed and boasts fantastic performances from its two young stars. The late and much-missed Mark Mason, co- founder of the Acton Film Club, was the Special Effects Supervisor on this film. The effects needless to say are terrific and a testament to what Mark and the Asylum team could achieve even on a modest budget.